The Washington Capitals are making just their second appearance in the Stanley Cup Final in franchise history and first appearance in 20 years and they’re hoping this trip goes a lot better than the first one. 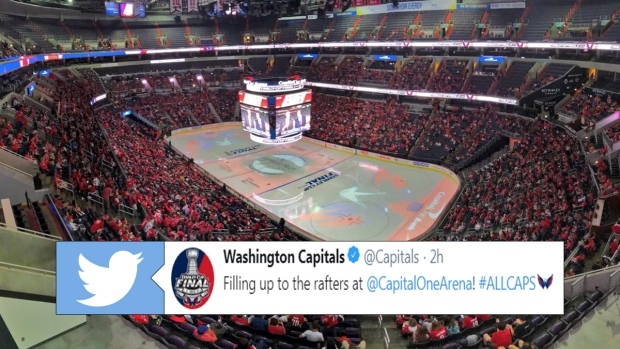 Although the final series of the year opens up in Las Vegas, thousands of Capitals fans showed up to the Capital One Arena on Monday night and packed the arena as if the game was being played at that location. The team hosted a viewing party at the arena, but just because the game was happening in an arena on the other side of the country that didn’t stop those who did show up from getting as loud as possible. The Capitals faithful also showed up to the team’s final home practice before they departed for Las Vegas to give them a proper send off before the biggest series of their lives.